• Easy maintenance: just remove the four bolts to clean the inside of the casing. • Meets a wide range of applications coupled with air-cooled diesel engines. 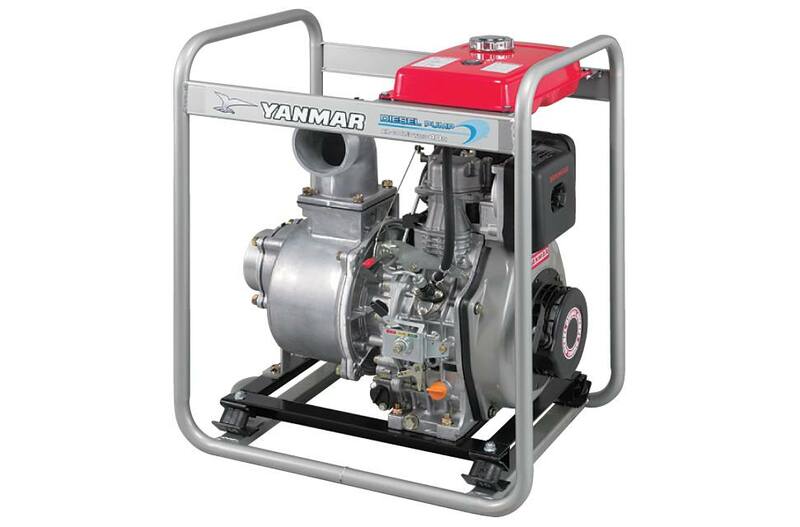 A Wide Option: Yanmar's pump series range in bore size from 2“ to 4“ for fresh water, semi-trash, trash, and diaphragm models. The series can handle all types of water, from fresh to muddy sludge. Durable Construction: The principal parts of each pump are reinforced for superior wear resistance. The trash pumps are further strengthened by adding liners to the inner casings. Easy Maintenance: Cleaning the inside of the casing can be done simply by just removing a few bolts. With trash pumps, the casing cover and the inner casing come in one block, so separation and fitting is very easy. Long Running, Fuel Thrifty Diesels: Fuel-efficient diesel pumps can be operated 1.5-4 times longer than gasoline pumps. This advantage truly shows in night time and other continuous pumping operation at sites where no commercial power is available.